PowerBlock dumbbells can easily replace a whole set of dumbbells thanks to their easy weight adjustment similar to pin-and-stack system used in weight machines. The PowerBlock dumbbells feature perfect balance and compact design. 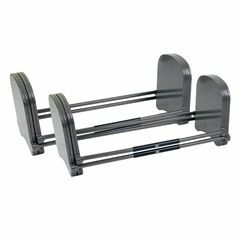 Those dumbbells are a great option for those searching for versatile dumbbell training and space-saving equipment. 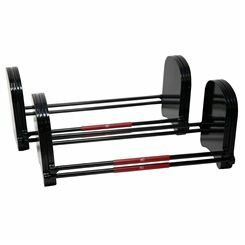 In comparison to traditional dumbbells, transporting the PowerBlock dumbbells is much more convenient.